Notes: Wingham was the original terminus of the line in 1916. 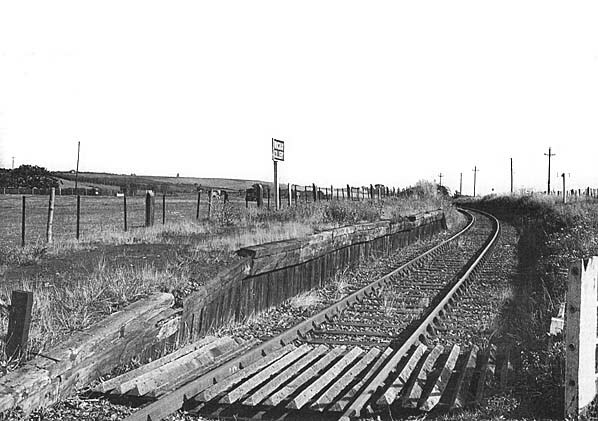 Initially a siding was provided east of the station to serve Wingham Colliery but shaft sinking didn't proceed beyond 50' due to WW1 and after the war the mine was abandoned. The line was extended to Wingham Town during 1920 and until then trains reversing at Wingham Colliery had to run back half a mile to reach a run round loop. Wingham Colliery had a 100' timber faced platform with a wooden hut and ticket office on the up side of the line, the buildings were removed when the line was extended to Wingham Town in 1920. The East Kent Railway was formed in 1985 with a proposal to preserve the remaining section of line and a programme of shrub clearance began in 1989 after the line was sold to the company for £125,000. A new replica station was built at Shepherdswell where only the a very degraded platform remained and this has became their base; there is no longer a connection to the main line. The company was granted a light railway order in 1993 which allowed them to run passenger trains for the first time in 40 years between Shepherdswell and a new station that was later built at Eythorne. 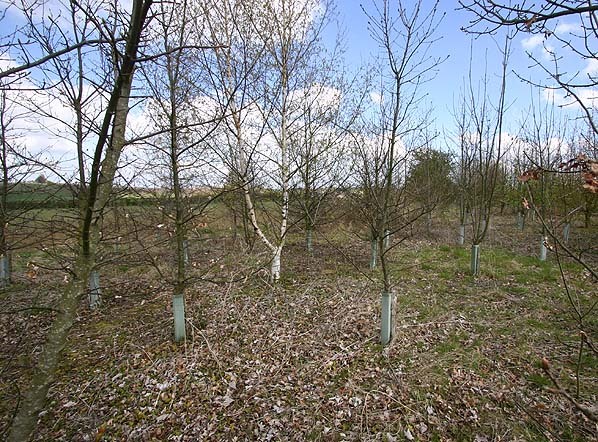 In 2003 the EKR became a Charitable Trust. The railway is open every Sunday between April - September and on certain other days during the year. To see other stations on the East Kent Light Railway click on the station name: Shepherdswell, Eythorne, Elvington, Knowlton, Eastry South, Eastry, Woodnesborough, Ash Town, Staple, Wingham Town, Wingham Canterbury Road, Poison Cross, Roman Road, Sandwich Road, Richborough Port & Tilmanstone Colliery Yard. 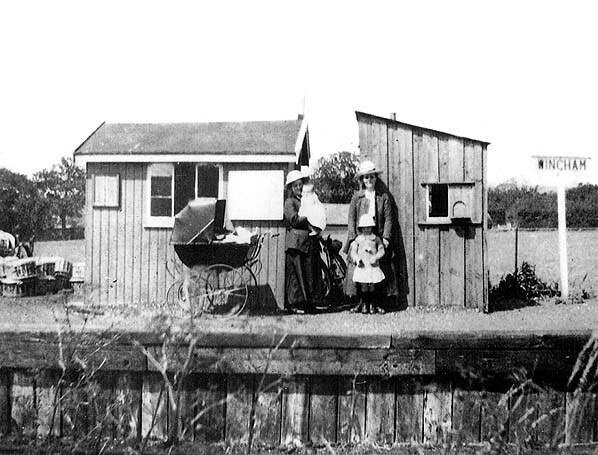 Wingham Colliery Halt in 1919. Although the sign shows the name as Wingham the name was always Wingham Colliery. The buildings were moved when the line was extended to Wingham Town in 1920.